During this hectic time of year, the Department of Justice’s Tax Division takes a moment to remind the public that year round, tax enforcement efforts are continually underway across the country. The Tax Division in collaboration with U.S. Attorney’s Offices and the Internal Revenue Service (IRS) investigates and prosecutes individuals and corporations across a wide spectrum of occupation and industry. “Filing a tax return and paying taxes are serious acts and willfully filing false and fraudulent tax returns and deliberately evading paying taxes are criminal acts,” said Principal Deputy Assistant Attorney General Richard E. Zuckerman of the Justice Department’s Tax Division. "During Tax Season And Every Season, The Tax Division Is Committed To Achieving Justice Through The Prosecution Of Those Who Choose To Engage In Tax Crimes." 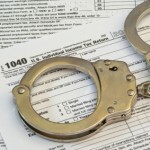 Throughout the past year, federal prosecution of tax crime has included a range of income levels, professionals, small business owners and wage earners and encompassed a broad spectrum of tax crimes from offshore fraudulent tax activity to employment tax fraud to identity theft. Tax enforcement efforts are ongoing. The Tax Division and its partners remain vigilant in the fight against tax crime.